Primary grind established at factory but will require sharpening before first use. Not aesthetically pristine and may have minor blemishes that are not considered defective. 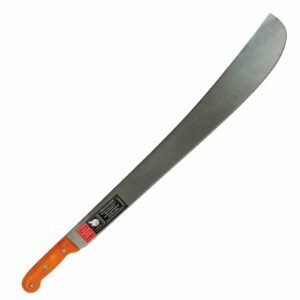 Ontario Knife has been manufacturing the 1-12 Machete under U.S. Government specifications for over 60 years. 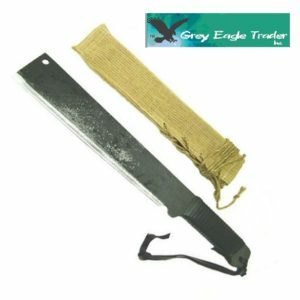 The same high quality machete that our troops expect is found in all the machetes we make including our “D” handle machete! 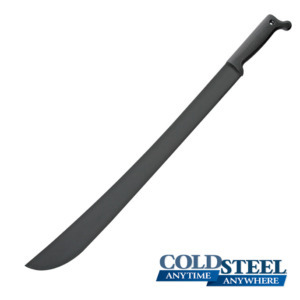 Features include: 1095 carbon blade, zinc phosphate finish, full tang construction, shatterproof handles, and steel compression rivets. 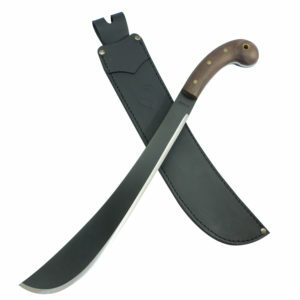 Our LC Econo Machetes offer performance, rugged reliability, with affordable pricing in a machete made right here in the “Good Ol” U.S.A.
3.2 mm. / 3.2 mm.